Oct. 16, 2017 8:00 a.m. Aspire Special Needs Resource Centre hosted an open house this week to touch base with local stakeholders, friends and families who utilize the facility. Aspire is a charitable organization run by a team of caring and optimistic professionals who believe in working with families, and the local community, in order that children with special needs can reach their full potential. During the open house, Executive Director Michelle Sluchinski chatted with folks who dropped by and enjoyed detailing some of the programs offered at Aspire. 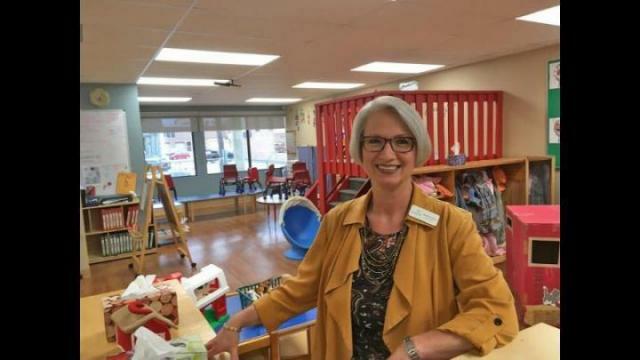 “Aspire Special Needs Resource Centre is so happy to be in the Red Deer community, serving Red Deer and Central Alberta and many families from out of town as well,” she said. “For the open house, what we try to do is invite our supporters, our donors, our service club people, our individuals and companies that provide funding to us, as well as family members to come in and see the building. “The real work and everyday fun takes place right here in our building in downtown Red Deer,” she added. “So for us to be able to show people our home – it’s really important. All the talking that we can do makes such a difference, but when you can see it, that goes a long way for people as well. “We’re coming out of a tough couple of years for our community. It’s been challenging. So Aspire wants to say thank you – we are very grateful for the support. “We are also very busy – we probably serve about 350 children a year and then a bigger scope of about 2,500 families through our intake and referral program. I think what I’d like to also say is that our pre-school is one of the cornerstones of Aspire, then we’ve got our trans-disciplinary assessment and consultation program which opened the doors of Aspire so many years ago. “We also have the individualized services which is where we are addressing the growing need that’s out there. It’s a combination of services that families can access, whether it be a clinic, or speech pathology, psychology time, or services under a child’s FSCD contract, they can get that right here at Aspire,” she said. Meanwhile, tours can be arranged through the intake coordinator for families and anyone interested in the work of Aspire Special Needs Resource Centre.